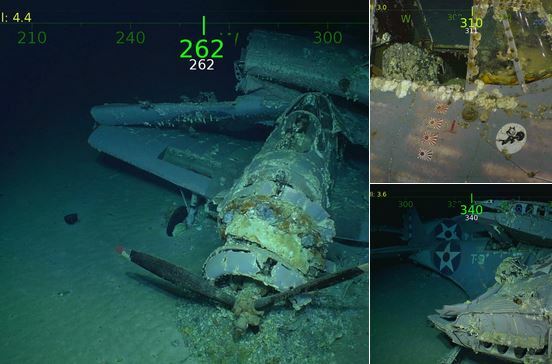 On March 4, 2018, billionaire Paul Allen, the Microsoft co-founder and Seattle Seahawks owner, made another huge nautical find: the USS Lexington, which was lost at the Battle of Coral Sea 76 years ago. 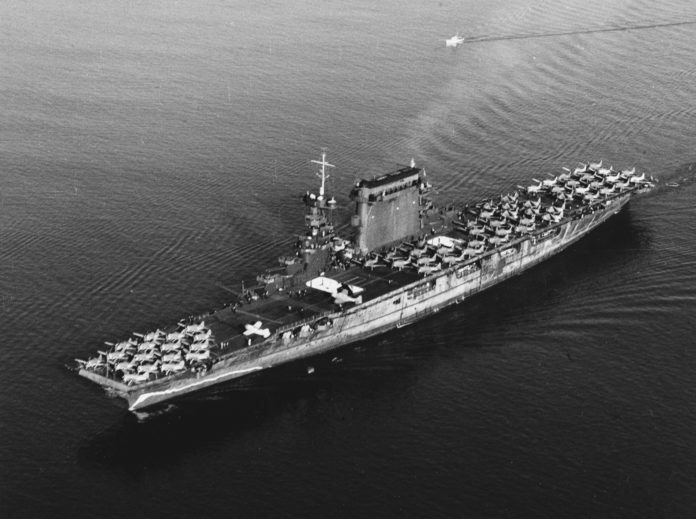 The fleet aircraft carrier, the first to be sunk by opposing carrier aircraft in World War II, was found near Australia in a remarkably well-preserved condition. The expedition crew of Allen’s personal research ship R/V Petrel found the missing Lexington two miles below and about 500 miles off the eastern coast of Australia. Photos and video courtesy of Paul Allen. Sad to see such a fine warship in Davey Jones Locker. 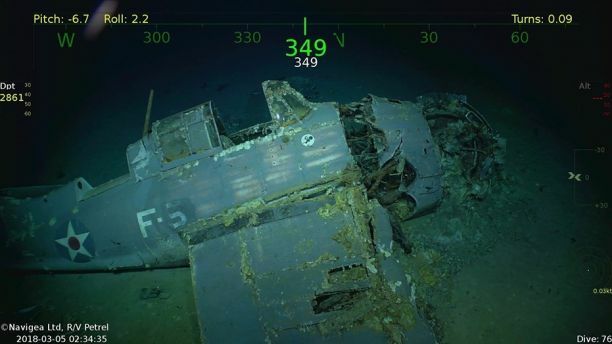 I am amazed at the condition of the aircraft that are still on deck. I mourn the loss of the sailors who were lost on her. I am a sailor veteran with 3 1/2 years on the USS Saratoga.